While most know how dangerous motorcycle riding can be, there are a few things that make motorcycle riding that much more risky. Grass Clippings. Grass clippings can be a bigger obstacle for motorcycle riders than you may think. Do not race through it; go slow until you get through it. Deer. If you are riding your motorcycle at dusk, ride slower than normal as deer are often out and will not yield to you. They are very powerful animals and will definitely cause you major injury if you were to collide with one. Also be familiar of the areas you are riding in. Many areas have a lot of deer that cross the streets often. Potholes and Unmarked Excavations. Surprises in the pavement are not fun for motorcyclists. If you see something in the road, slow down so that you can go around it safely. Gravel and Fallen Rock. Intersections with gravel roads or driveways that slope down have a knack for dumping grit and gravel onto the pavement. Combined with the crest of a hill and a right hand curve, traction can get dicey. Practice by riding on dirt and gravel roads before hitting these curved roads. Hill Crests Hiding Sharp Turns. Pretty self-explanatory. Sharp turns, when you can’t see up ahead can be disastrous for motorcycles if something is in the road that could be dangerous to them. Drivers Moving Inexplicably Slower Than Other Drivers. Generally, these are probably distracted drivers on their cell phones. These types of drivers are just as dangerous as drunk drivers. Use a lot of caution when driving near them. Trolley and Railroad Tracks or Sharp Pavement Edges. Hitting these at less than a 45 degree angle can trap or turn your front wheel suddenly. Merge Ramps. If the driver in front of you does not adjust to the merge ramp, he’s probably going to hit his brakes because he is reacting too slowly. Be cautious of ramps. Left-Turning Drivers. These are the drivers that cut in front of you, or take turns right when you’re coming toward them. Flash your lights at them to warn them that you are close. The First Six Minutes. 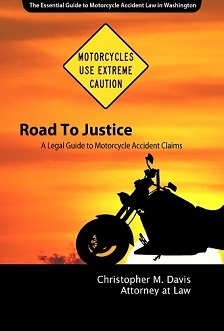 Most motorcycle accidents happen in the first six minutes of getting on the bike, based on a study. Don’t drive your motorcycle for short distances because you may be distracted, not warmed up and concerned with where you were or are going. Dew and Rain. Early morning motorcycle rides may not be a good idea due to rain and dew. Remember the paint on the road gets slippery when wet. Hunches and Times When Things Just Don’t Feel Right. Your subconscious is important. Listen to it. If you feel like something up ahead does not feel right, slow down and listen to your subconscious. The Driver of the Motorcycle. Yes, you. If you are overly emotional, upset, sad or really excited about something, your mind wanders off the road. Use good judgment. 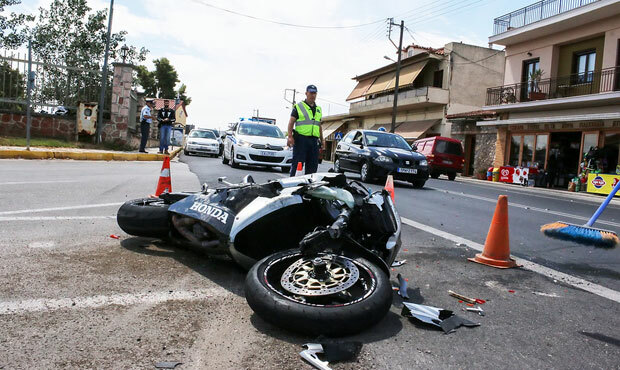 If you have been injured in a motorcycle accident due to the negligence of another driver or entity call Davis Law Group at (206) 727-4000 for a free consultation. Get your legal questions answered. $190,000 Settlement For Motorcyclist Hit By King County Metro Bus Metro bus driver fails to yield right-of-way and hits motorcycle.